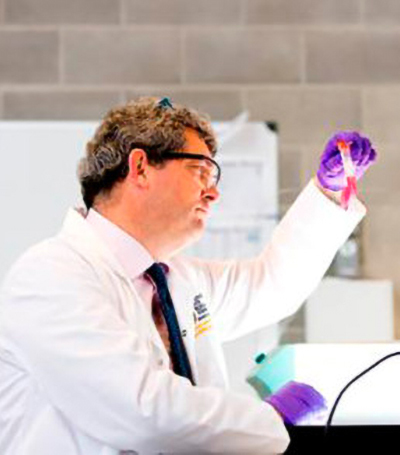 Professor Billy O’Connor is Foundation Professor and Head of Teaching and Research in Physiology at the University of Limerick Graduate Entry Medical School since 2007. Prior to this appointment he was Head of Neuroscience Research in UCD where he held an SFI Investigator Award and Professor of Pharmacology at the Karolinska Institute, Stockholm, Sweden. Professor O’Connor was awarded the Conway Silver Medal in 2000 by the Royal Academy of Medicine in Ireland in recognition of his contribution to the field of bioscience and the SCRIP Award in 2005 for best partnership alliance with Wyeth for cooperative work on brain illness treatments. His main focus is the understanding of illness of mind and brain as a disorder of the nerve network and the emerging field of neuroeducation – the brain science of learning. He has authored over 100 full original papers (h-index = 40) and has secured over €3 million in research funding. Professor O’Connor is a founding member of Neuroscience Ireland, a fellow of the Royal Academy of Medicine in Ireland and has served on the scientific advisory boards of the Health Research Board, Enterprise Ireland and the European Commission. He has a strong commitment to scientific outreach and communication. This is best illustrated through his popular website Inside the brain which reports on the latest from the world of brain research.